Rumors that smart thermostat maker Nest is considering adding Apple HomeKit support to its product range appear to be premature, according to a report on Thursday. AppleInsider spoke to a Nest employee who apparently confirmed there are "no immediate plans" to support Apple's smart home platform and "no roadmap" for such a migration. The rumors were apparently stoked by Apple's announcement at the Worldwide Developers Conference that it has taken steps to make it easier for third parties to integrate the smart home platform into their devices, followed by a comment recently attributed to Nest that it would "consider HomeKit". At the present time, HomeKit-enabled smart products require a hardware authentication chip to make them compatible with Apple's Made-For-iPhone program. At WWDC, however, Apple said it was updating its specification so that smart products won't have to include a hardware chip and will be able to authenticate through software instead. The news sparked suggestions that some older products could theoretically be upgraded to support HomeKit using a firmware upgrade. HomeKit has enjoyed fairly wide support among smart gadget manufacturers, but the Google-owned Nest brand has never been on that list. Apple removed Nest products from its stores in 2015 shortly after the first HomeKit-compatible products became available for purchase. Nest owners needn't completely give up hope for HomeKit support, as manufacturers have occasionally added the standard to products via upgrades well after they have come to market. Add to that Apple's looser licensing and authentication restrictions for HomeKit and it's not impossible that Nest will come around to the platform one day. Yawn. 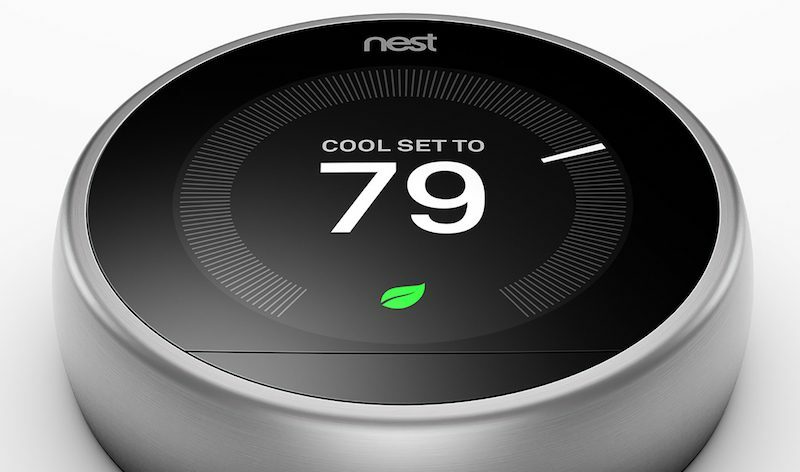 Who the Hell needs Google Nest when Ecobee's smart thermostats are excellent. Existing Nest can never get HomeKit. HomeKit requires a special security chip. It's not just a software or firmware update like Alexa support. That is why manufacturers in the past have been slow to adopt. Apple hasn't made it easy. At WWDC, however, Apple said it was updating its specification so that smart products won't have to include a hardware chip and will be able to authenticate through software instead. Yes, that is correct. But it really doesn't affect older products because the new s/w encryption still has hardware demands that won't perform well with older device processors. It will work yes, but not at a level any company or Apple would want to stand by. Apple has basically said it will not certify upgrades that don't perform well and put HomeKit in a bad light. Right, right. I was just curious about what specifics you know about the Nest that lead you to make a very matter-of-fact statement that the existing Nests would never support it. Do you actually have any actual facts regarding the Nest's processor and how utilized it currently is, or what the expected overhead from HomeKit encryption actually is? I'd love to learn more. Yes but why do we need home automation? Standby power alone will jack up the electricity bill. Besides buying all the crap that may or may not work with everything else. Just seems stupid to have a home "plugged in". For the same reason we have cable TV and garage door openers and garbage disposals or dish washers. None of those are "needed" compared to the alternatives, and they all cost money and use extra electricity. But they bring a level of convenience to the house that some people like, whereas others find no value (and added hassle) with them. While HomeKit allows interaction FROM the cloud, it doesn't look like the automation rules (or integrations with other systems) occur in the cloud. This person is saying that because HomeKit DOESN'T use the cloud for integrations, Apple is making a mistake. This developer is saying the opposite. Because HomeKit DOESN'T use the cloud, it's fantastic. His company makes a very capable Insteon/Zwave/Zigbee/RF hub (that runs its own automation) thats been around for years. It currently integrates (via cloud) with Amazon and Google. Just thought it was interesting that he thought how HomeKit not using a cloud is a great thing. I don't understand the obsession with using "the cloud" for home automation. Your internet connection goes down? Suddenly your automation products are useless. The provider gets hacked? They suddenly have access to your home and all its history data. Company goes out of business? The products become paperweights. Local devices should always be controllable locally, over WiFi, without a single packet needing to leave the home network. The only time external servers should be involved is when you're controlling the devices from outside the home. This is how the Philips Hue systems works, for example, and it's excellent. Apple has the right idea requiring local control. Screw all these companies that insist on making products slaved to their external servers. Someone please explain why we need all this in home automation crap. It'd be like teleporting back to 2010 and telling someone happy with their free flip phone why they "needed" a $199 iPhone. Well it is hard to understand when you keep responding to my posts regarding HomeKit. It also shouldn't be hard to understand that your Nest is never going to have HomeKit so why even waste a dream about it?